Even the most diminutive of Triad’s new OmniSub line packs a wallop. 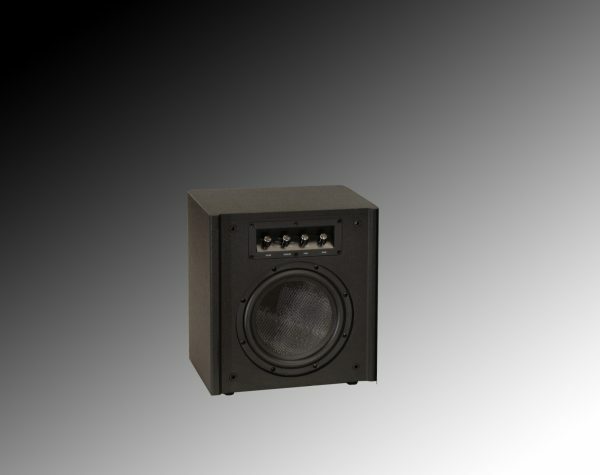 In a package not much bigger than one cubic foot, the OmniSub8 provides deep bass and surprising output for home theater or music applications. A proprietary, long-excursion 8″ driver is used in conjunction with a 200 watt Class D amplifier. The amplifier technology retains the sound quality of traditional, hot-running Class AB amplifiers, while running efficiently and cool. Features include signal-sensing power-on, volume, crossover and phase adjustments and both line level and speaker level inputs. Triad’s new OmniSubs set the standard for performance, features, and value. Controls are easily accessible from a panel behind the grill. Triad’s new OmniSubs provide excellent performance at a “value” price. All Triad OmniSubs come in an attractive black finish with black grill. Built-in 200 watt class D Amplifier.